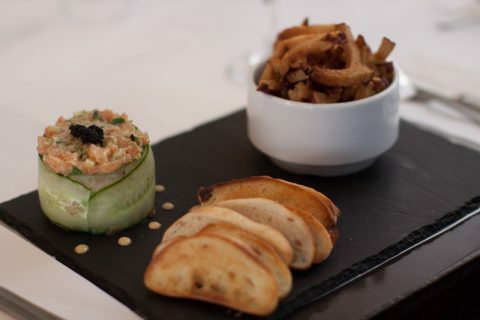 With spring at our doorstep, Ottavio for the month of April is bringing you a succulent salmon tartar. Whether it’s as an appetizer or a main course, let yourself be tempted by the tender salmon bathed in Asian flavours. Accentuated by delicious fresh avocado, capers and fresh coriander, it’s our home made tartar sauce that makes this dish….Divine!!! !